In an age where do-it-yourself (DIY) is all the rage, the ability to grow your own food often goes unnoticed, taking a place behind remodeling kitchens and laying brick patios. Yet self-sufficiency with food does not require a 2,000-acre farm. In fact, your home may provide ample space to raise nutritious crops that feed the family. As the public learns of the ecological side effects of commercial agriculture, people are eager to do what they can to offset this damage while, incidentally, eating fresh commodities at lower prices. Growing vegetables indoors is a start. Growing vegetables indoors should include carrots. Carrots are delicious and versatile, found in salads, stews, soups and stir-fries. Nutritionally, they are rich in fiber and potassium, as well as Vitamins A, C and K. They can last for several weeks in a vegetable crisper to best preserve the presence of beta-carotene. Requiring a pot or window box (best with depth and width of 1.5 feet), carrots grow well in a potting mix that is rich with humus and you should plant the seeds only after the soil is well-irrigated. They require generous light to sprout within 14 to 21 days. A few points are worth noting: for one thing, the baby carrots found in the supermarket are not a different breed. They are simply harvested early, cut down to size, peeled and bagged. Carrots, in reality, can grow quite large, most of them harvested when they are three quarters of an inch in diameter across the top. For this reason, planters should place the seeds an inch apart to give the plant ample growth space. These precautions aside, carrots are still among the easiest vegetables to grow indoors. You do not need a gourmet palate to make good use of garlic. When growing vegetables indoors, gardeners want flavorful food that enhances good health. A member of the allium family, garlic is a condiment that compliments taste and bolsters immunity. Though some of its supernatural properties are overstated legends, garlic nevertheless packs a large number of antioxidants. Subdivided into hardneck and softneck, garlic is one of the finest vegetables to grow indoors for its overall hardiness and its modest space requirements. 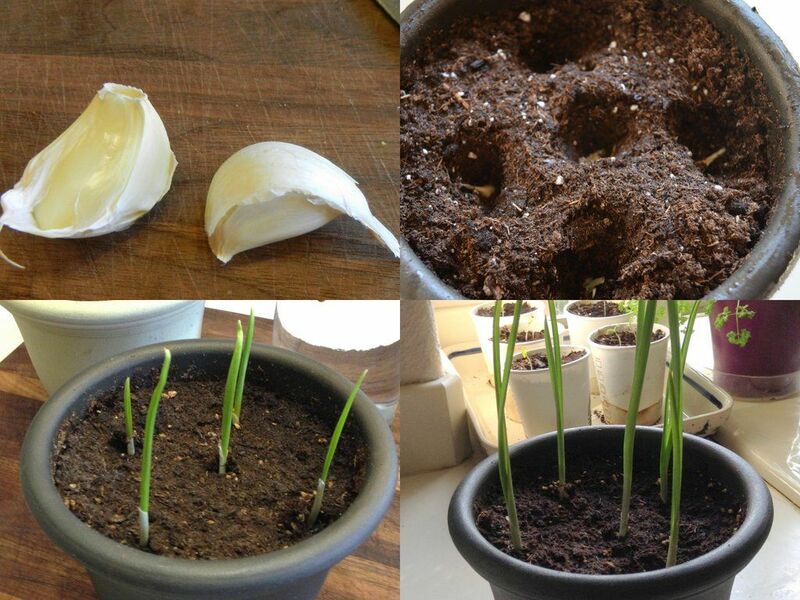 Hardneck garlic grows a flower with fewer, though larger bulbs. Softneck, by comparison, grow more numerous albeit smaller bulbs, and do not yield any flowering. While garlic is hardy, it does need specific conditions if it is to thrive. The first prerequisite is time – garlic needs nine months to grow to maturity. In addition, development is optimal when the first phase of planting is colder and darker, followed by a season of light and heat. This is why mid-autumn is common for garlic planting. Although this plant can adapt to a variety of soils, the most suitable are light and well-drained, with a pH between 6.5 and 7.0. Separate the cloves before planting them. Mushrooms are desirable as both food and medicine. In chicken marsala, on pizza or stuffed as appetizers, mushrooms compliment any menu. Most popular among consumers are the common button mushroom and the Japanese shitake mushroom. They are abundant in protein, vitamins and numerous antioxidants. 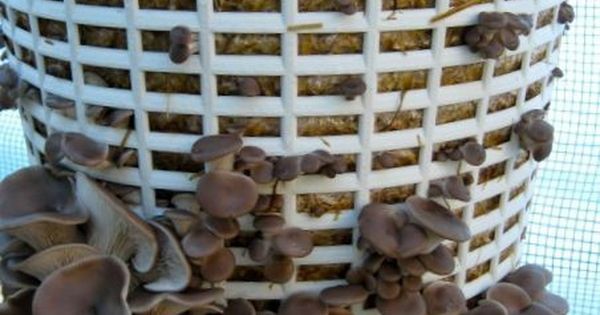 Shitake mushrooms can actually lower cholesterol and fight cancer, according to research. Gardeners can avoid the demanding time in learning how to grow vegetables indoors by simply purchasing a mushroom kit and raising them in a laundry basket. Otherwise, you can grow them from scratch (or spore), which tends to get more involved. As noted, mushrooms grow, not from seeds, but from spores – miniscule, chlorophyll-free substances that feed off of wood chips, sawdust, grain or certain liquids for nutritional support. A kit consists of these media already inoculated with mushroom spores. Alternatively, you can buy the spores at a garden center and inoculate the growing material yourself. From the spore come microscopic roots called mycelium, which elongate and grow into the recognizable mushroom. Best grown in dark, cool environments – basements, e.g. – mushrooms are a good crop to raise over the winter months, when cellars are usually on the chilly side. Simply spread the inoculated compost in trays (six inches deep), cover with a damp cloth, and use a heating pad to bring the compost to about 70˚F. After three weeks, or sighting visible mycelium, lower the temperature to 60 degrees and cover with a thin layer of soil (and the damp cloth). Mushrooms should show themselves in less than a month. When it comes to growing vegetables indoors, lettuce offers a variety of options. Romaine, iceberg, Boston or Bibb, lettuce is an excellent source of vitamins A, C and K, while also providing needed folate and iron. The staple of every salad, lettuce is a filling source of fiber, as well. Best of all, it grows quickly and stores well under refrigeration. Furthermore, principles of lettuce-raising apply to like species, e.g. spinach and arugula. Lettuce can begin from either seeds or starter plants, each available at local nurseries. Home growers usually plant lettuce in a box perforated at the bottom with drainage holes. Penetrating the potting soil with the index finger, seeds can be dropped into the holes, each distanced about four inches from one another. After covering the holes with soil, water the box contents immediately, and regularly thereafter. When the shoots emerge, remove the smaller ones and allow the larger to grow. 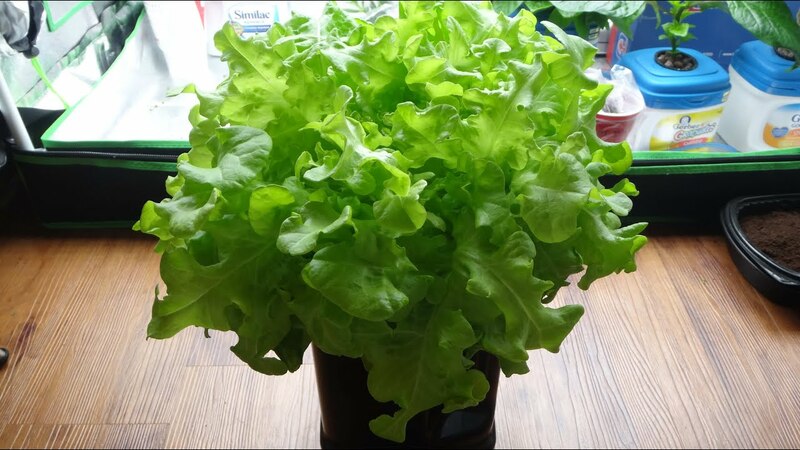 Growing vegetables indoors, lettuce for example, can be done hydroponically, i.e. with roots submerged in water. Growing vegetables indoors might be labor intensive or it might be low maintenance. Terms from germination to harvest may be weeks or nearly a year. It all depends on what you choose to plant. Key to any such decision should be what the family likes to eat and how growing vegetables at home will affect the household budget. Beyond these considerations, the right lights and maintaining the appropriate temperature are also significant factors when growing vegetables indoors. Hey Buddy!, I found this information for you: "Growing Vegetables Indoors: Most Suitable Edible Plants". Here is the website link: https://backtofarm.com/growing-vegetables-indoors/. Thank you.